Bollywood actor Rajpal Yadav and wife Radha Yadav on Wednesday welcomed a baby girl. 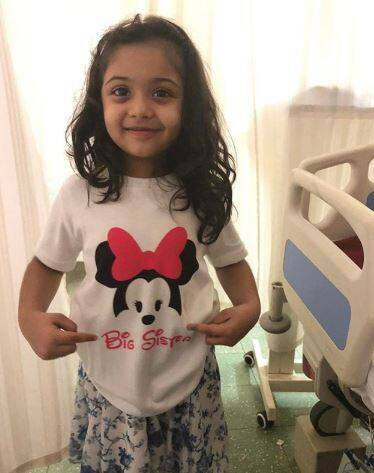 Rajpal Yadav shared a click of his elder daughter who is happily flaunting her ‘Big Sister’ t-shirt. 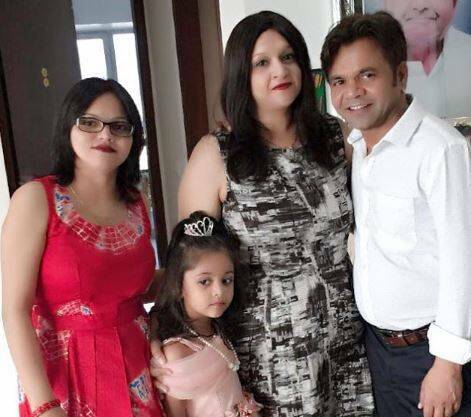 Actor Rajpal Yadav and his wife Radha Yadav on Wednesday welcomed a baby girl. The actor, known for his comic roles, has been blessed with a second daughter on the auspicious day of Navratri. He shared a photo of his elder daughter who is happily flaunting her ‘Big Sister’ t-shirt. Rajpal Yadav also has a daughter Jyoti from his first wife Karuna. After the demise of his first wife Karuna, Rajpal went on to marry Radha on May 10, 2003. Rajpal is best known for films like Pyaar Tune Kya Kiya, Hungama, Waqt: The Race Against Time, Chup Chup Ke, Garam Masala, Phir Hera Pheri, Dhol, Main Madhuri Dixit Banna Chahti Hoon, Ladies Tailor, Rama Rama Kya Hai Drama, Hello! Hum Lallan Bol Rahe Hain, Kushti, Mirch and Main and Meri Patni Aur Woh.